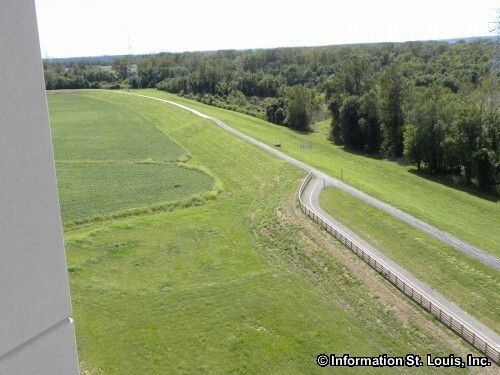 Amenities: A 21-mile asphalt paved biking trail that has one end at Russell Commons Park in Alton Illinois and then runs along the top of the Levee that parallels the Mississippi River to Granite City Illinois. The trail passes by the Melvin Price Locks and Dam #26 and the Lewis and Clark Interpretive Center. 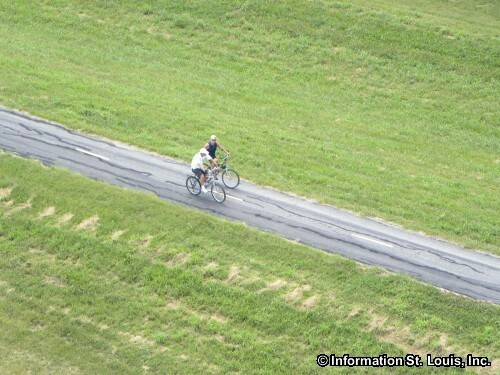 The Confluence Bike Trail also has access to the Old Chain of Rocks Bridge Bikeway via Chain of Rocks Road.